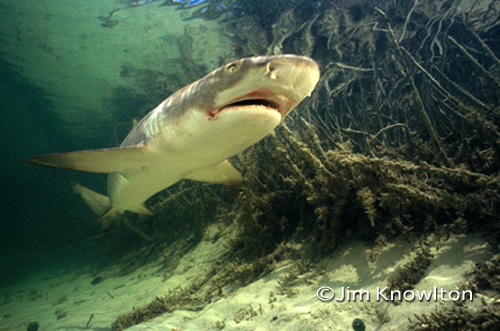 Description: Lemon sharks spend a portion of their juvenile years in protective mangroves. As they grow, they move out into subtropical and tropical seas. They can grow to 8-10 feet long.